Could Dead Space 3 be coming to the Wii U? EA have recently posted job listings on their website in search of a senior art director and audio director to work on the ‘Dead Space’ franchise. The listing goes as follows. There is no mention of which platforms the game will be coming to, but the Wii U is just as likely to be one of them as it’s not. The Dead Space franchise is no stranger to Nintendo platforms and EA have been showering the Wii U and its new controller with positive comments. They even appeared on stage during Nintendo’s press conference at E3 2011. I guess we will have to wait for official confirmation of a new ‘Dead Space’ game to find out. 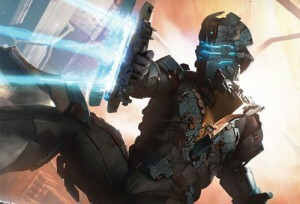 Would you like to see a Dead Space game come to the Wii U? Most likely EA are planning a spiritual sucessor to the brilliant Wii on-rails game Dead Space: Extraction, which was a Critical smash hit and has finally got recognition. “Dead Space: Redemption”? “Dead Space: Extinction”? I think Dead Space 3 is going to begin development soon as well and it will also make an appearence on Wii U sometime in the future(as It will be a cross-platform release), but I believe this Job Listing is for the exclusive Wii U sequel to the brilliant spin-off. I love the title “Redemption”. Perhaps it will follow the events surrounding what occured to Lexine after the end of “Dead Space 2: Severed”.